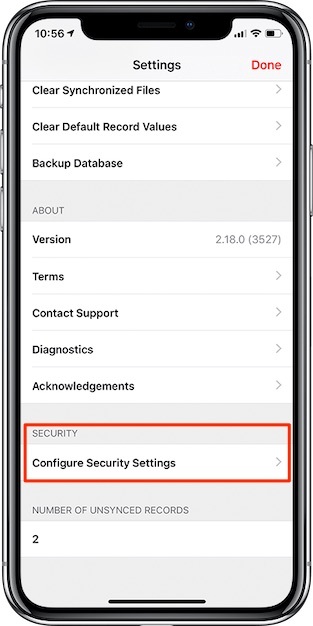 What is the security section found in the settings page of the Fulcrum iOS app? The security settings options on the iOS app. At the bottom of the settings page in the Fulcrum for iOS mobile app there is a security section. Within this section is an option to configure security settings. 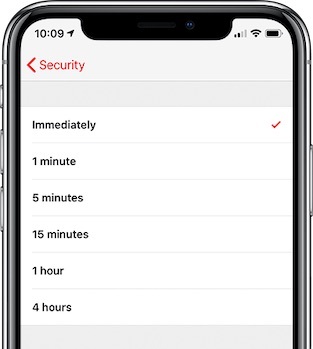 Within the configure security settings page there are two options, Require Face ID and Authentication Interval. 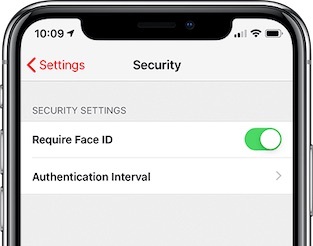 When require face ID is enabled face ID can be used to unlock Fulcrum without having to enter you password. Within the authentication interval page you have option ranging from immediately up to four hours. 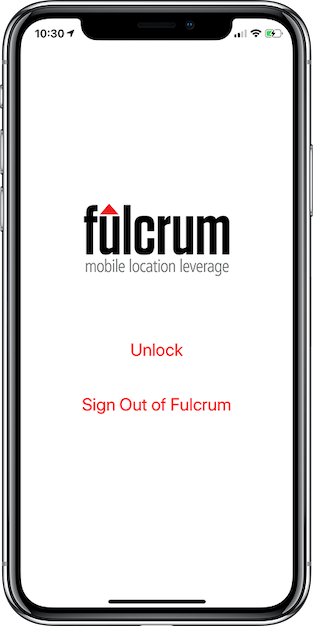 After Fulcrum has been in the background for the specified amount of time you will have to either enter in your password or use face ID to unlock Fulcrum and gain access again.